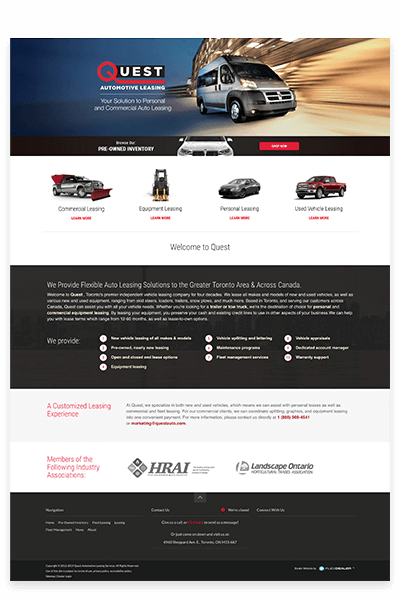 Attract more used vehicle shoppers with a beautiful, responsive website that is designed to help you stand apart from your competitors. Start building online relationships with car buyers sooner with website content that helps shape their purchase decisions. Each inventory listing is injected with advanced structured data making it more visible to search engines, and ultimately car shoppers. As part of your website bundle, FlexDealer includes a feed of your inventory to Facebook Marketplace, in addition to a variety of other portals. Similar to how Amazon shows you the products you were looking at on Facebook, FlexDealer can show live units to in-market shoppers as well. Connect all of your search engine, competitor, social media, and advertising data in a single login. Monitor performance independent from your vendors. FlexDealer provides tactical local SEO that will help you outrank your competitors in local search results. Place your dealership front and center(re). Want to know the scoop on who is shopping on your website? Use our real-time lead monitoring dashboard to sell more vehicles to higher-quality customers. Technology in our industry is quadruple the price than any other. FlexDealer is on a mission to bring innovation to independent dealers without breaking the bank. Show live inventory to in-market shoppers on Facebook. Outrank your competitors with local profiles and higher map results. Help your customers make buying decisions with compelling content.